← How Do You NOT Love Joe Maddon? HELENA, Mont. — Two days after posting bail for drug and burglary charges, former NFL quarterback Ryan Leaf has been arrested a second time in Montana. Central Montana Drug Force Commander Chris Hickman says Leaf was arrested early Monday in Great Falls and is facing charges of burglary, theft and two counts of criminal possession of dangerous drugs. He also is being detained on a probation violation. Hickman says the new charges stem from a burglary on Sunday — two days after Leaf was arrested and charged with burglarizing an acquaintance’s home for prescription painkillers. Hickman declined to detail the allegations against Leaf regarding the latest burglary. Leaf has a court hearing later Monday. Hickman says the probation violation does not carry a bond, so he cannot be released from jail. 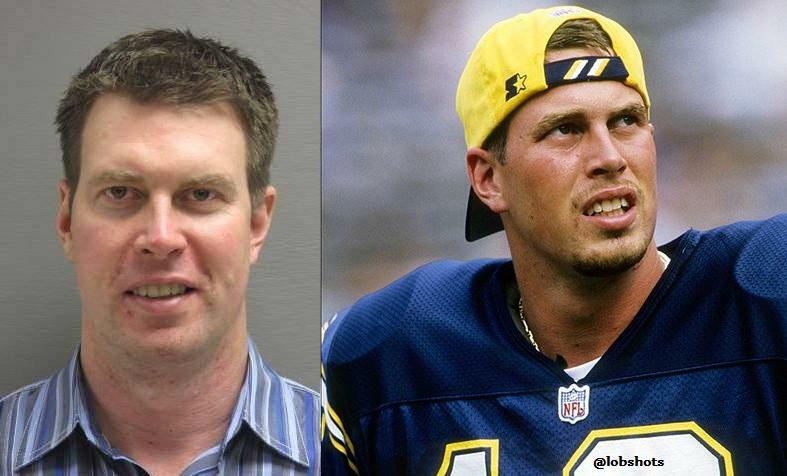 I told you how sad I was when Ryan Leaf got arrested a few days ago. I will tell you again that I’m doubly sad to hear he got arrested one more time. Unreal. This, fellow lobsters, is the definition of addiction. Drives you to do insane things. You can’t think straight. Here’s to jail time and a long stint in rehab for Ryan…. clearly he’s got some horrible prescription drug demons that he needs to face. You’re in my prayers, dude. So sad. This entry was posted in Football, News, NFL and tagged Chargers, ryan leaf, ryan leaf arrested, ryan leaf drug charges, ryan leaf oxycodone. Bookmark the permalink.